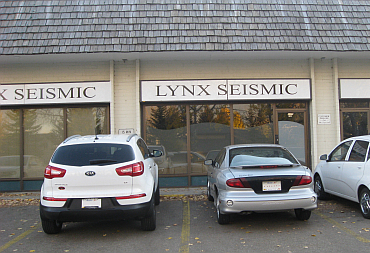 Lynx Canada has been providing quality seismic vectorizing and map digitizing services to the geophysical community since 1989. As we enter our 27th year of working with geologists, geophysicists, and seismic interpreters, we sincerely want to thank you all for the interesting and challenging projects you have sent to us. We have vectorized tens of thousands of seismic sections of all sorts (Wiggle Display, Variable Area Density, and the ever-frightening Psychedelic); and, Lynx Canada handles many different types of image files (JPEG, TIFF, PDF, and other flavours). Of course, if you have found a box of paper (or Sepias or Films) stuffed under your desk, or in your company's Department of Internal Documents, we have a huge drum-scanner which will gladly eat your blotchy mildew-covered paper sections (while hopefully capturing a gigabyte-sized full-colour tiff image first). Lynx Canada still provides some of the best cost/quality benefits possible for turning elderly data into spry computer-friendly files. All work is done in Calgary - nothing is farmed out or sent abroad. Speedy turn-around, superb quality, and a good sense of humour has kept Lynx Canada in business for over two decades. We appreciate your business. If you aren't sure we can help you, send a test line or two. Let us show you what we can do, without cost or obligation.